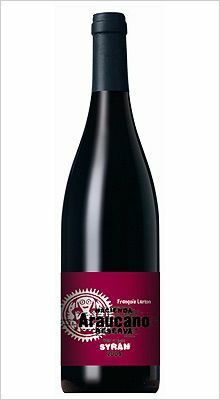 In 2000 Francois Lurton bought the 200 hectare plot of land near the historic village of Lolol. It had never been used before to produce grapes, but with the mild climate that is heavily influenced by the proximity to the ocean, grapes were perfectly suited for the estate. The 2009 Hacienda Araucano Syrah Reserva is composed of 100% Syrah from the Lolol Valley D.O.